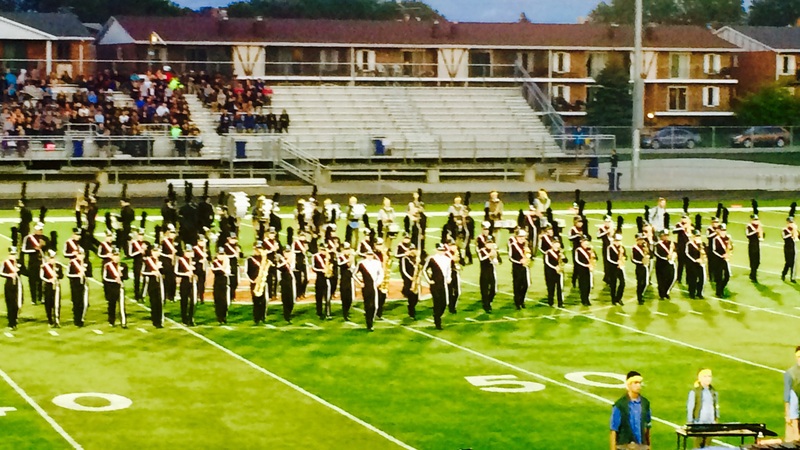 The Huntley High School Marching Band includes students of the Concert Band, Wind Symphony and Percussion Ensemble. Sectionals are held on alternate Tuesday nights through the summer, and the full band comes together for three rehearsal "camps," each lasting 3 or 4 days, for five hours each day. Through the first quarter, each class spends 3 or 4 days each week rehearsing marching band material, and begins working on concert band music during the remaining days. The full band rehearses Monday and Wednesday evenings for two hours. The color guard is entirely extra-curricular. The Marching Red Raiders perform at all home football games, various local parades and events, and participate in 3 or 4 band competitions each fall.